The Softclix lancet is specially designed to be used with the Softclix Lancing Device. Unlike traditional lancets that have a round shaft, the Softclix lancet has a rectangular cross-section and is significantly smaller than other lancets. But the Softclix isn't an ordinary lancet, and the Softclix Lancing Device isn't an ordinary lancing device. The manufacturer claims that most discomfort from finger sticks comes from side-to-side motion of the lancet. Their device and lancet combine to form a system that, they claim, eliminates this motion and thus reduces the discomfort associated with finger sticking. The Softclix lancing device and lancets are easy to use, small, and lightweight and can be used by kids of all ages. 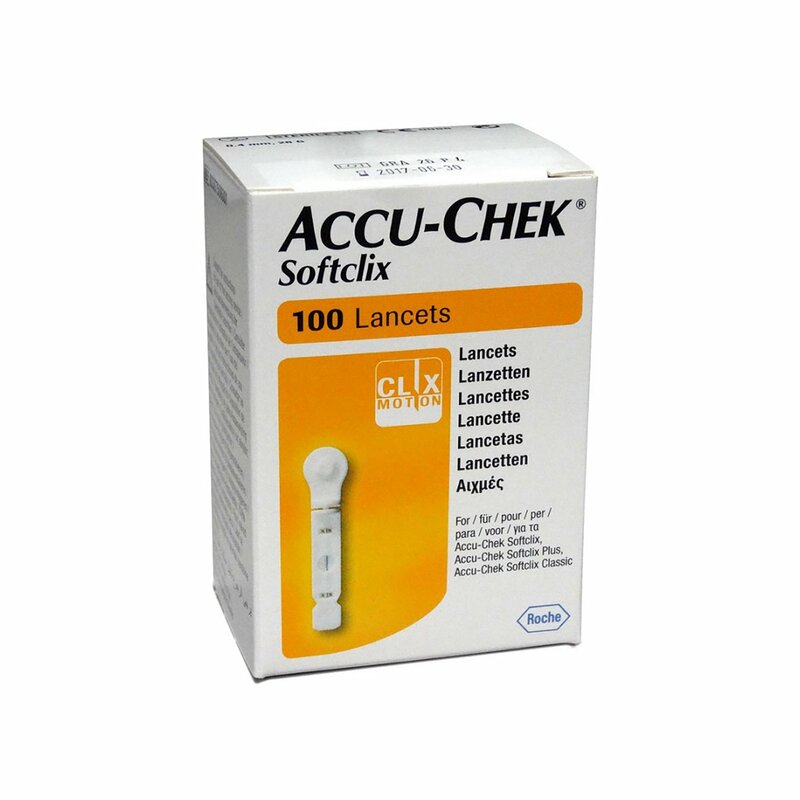 Accu-Chek Softclix lancets are available in a box of 200.